Solihull Medical Cosmetic Clinic > News > Skin Treatment > Why Seek Treatment at the Solihull Acne Clinic in Midlands? All of these factors must be considered to determine the triggers that cause your acne issues. From this determination a customized treatment plan can help you treat, and in many cases solve, your acne problems. 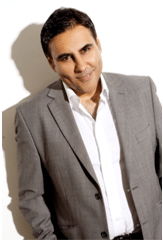 Dr. Victor Sagoo and his team will discuss, in detail, the potential triggers you may have for your skin type. Along with potential surgical and medical treatments, dietary changes, supplements, and other details specific to your case will be part of the consultation. As your consultation advances you will see how achieving clear skin is possible. You will want to come in on a scheduled basis for treatments and for home care adjustments. Along with customized treatment plans specifically for your needs, each treatment at the acne clinic in Midlands is focused on the skin conditions and needs at that time. Treatments do not run a set course for everyone, and will be best suited for your specific issues. At times this may mean more hydration; other times you may need an anti-bacterial treatment. A certified aesthetician analyzes and helps guide the treatments as they progress. Dr. Sagoo personally conducts or oversees each treatment. Your treatments are provided on a maintenance schedule to assess your treatment progress and your skins response to treatments. Self-care, done at home during this time, will be adjusted accordingly to help you along the way. Most patients begin seeing positive results within two to three months after beginning treatments. Initial progress may be seen in as little as six weeks. Rosacea is one of those issues that can go from embarrassment to chronic if left untreated. Rosacea is an acne condition that affects all ages and can get worse in time. Rosacea is treatable and can often be handled at the Solihull Acne Clinic in Midlands. With extensive experience and a network of private cosmetic surgeons, dermatologists, and other physicians based at the Spire Hospital, Dr. Sagoo is able to provide a wide range of cosmetic and medical treatments that will meet your needs. Being a general practitioner allows Dr. Sagoo an extensive knowledge of health issues that may arise with acne and its treatments. If you have acne and want positive, proven, results contact Dr. Sagoo. You can reach the clinic either online or phone us at 0845 603 6150 to schedule a consultation.